Since our hose is not corrugated, and maintains a larger inside diameter than the stock hose, it flows much smoother and flows more air than the OEM hose, and its a direct fit to boot. Constructed from high quality, automotive grade silicone using 4 layers of reinforced nylon - the finest quality. 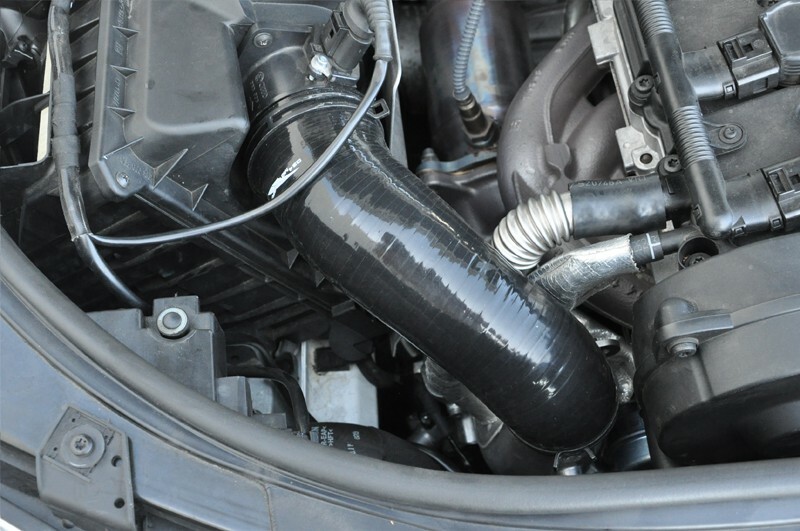 Fits all B7 (2006-2008) Audi A4 2.0T FSI models with the stock airbox or APR Carbonio Intake System. Constructed from high quality, automotive grade silicone using 4 layers of reinforced nylon. Includes new hose clamps.